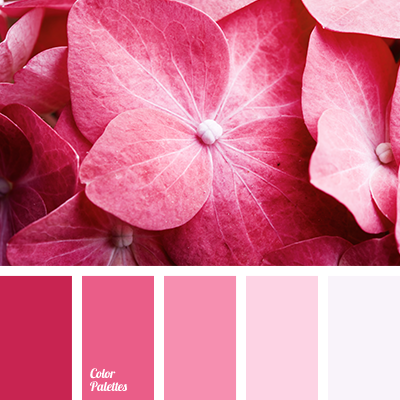 Gradation of delicate pink colour in this palette will become a perfect solution for decor elements. In combination with any basic colour this palette will adorn any interior, will become a good choice for a wedding floristics. Monochrome pink palette is a sophisticated choice for real romantics. 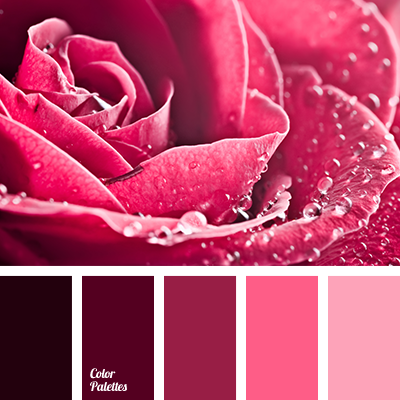 bright magenta, bright pink, colour palette for a wedding, dark magenta colour, delicate shades for a wedding, light and bright pink, light pink, monochrome palette, monochrome pink colour palette, pale pink, pale pink colour, rich magenta colour, rich pink, shades of colours for a wedding, shades of magenta, shades of pink.